Learn the critical, major and minor defects found during internal audit in Pharmaceuticals and self inspection compliance check list. Critical defects have a high probability of resulting in a product recall or in an adverse physiological response by the consumer. 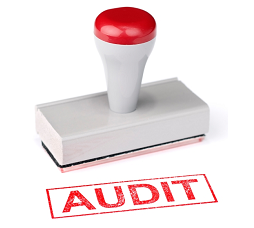 Critical deficiencies found in internal audits that usually produce significant effects on the strength, identity, safety and purity of the product that will be considered during regulatory compliance. Major defects found during an internal audit can reduce the usability or stability of a product, but without causing harm to the consumer. • Lack of standard operating procedures for cleaning equipment. Minor defects have a low probability of affecting the quality or usability of the product which can help in regulatory compliance. The results of check list highlight as a grading system, i.e. 1, 2,3,4,5. Here 1 = yes; 2 = unnecessary; 3 = partial; 4 = no; 5 = in doubt. Name of expert responsible for production ………. Does he have the required qualifications, knowledge and practical experience? Are sufficiently large and separated areas available for Raw materials storage? Are sufficiently large and separated areas available for Packaging materials storage? Are sufficiently large and separated areas available for Processing? Are sufficiently large and separated areas available for Packaging? Are sufficiently large and separated areas available for Bulk product storage? Are sufficiently large and separated areas available for Finished product storage? Are sufficiently large and separated areas available for Storage of high toxic drug products and narcotics? Are premises provided with sufficient lighting, ventilation and air conditioning? Are air-borne microbial counts of the areas checked regularly? Are records of the microbial count kept? Etc. Can they be easily and thoroughly cleaned? Are operating conditions of sterilizer controlled according to SOP? Is equipment cleaned with the approved method at regular intervals? Are equipment for aseptic processing microbiologically checked with the approved method at regular intervals? Are production areas Free of accumulated waste? Are written sanitation program available for Areas to be cleaned? Are written sanitation program available for Objects and intervals of cleaning? Are well-ventilated toilets and hand washing facilities? Are gowning rooms and break room? Are all records of starting materials kept? Do the records specify the origin of starting materials? Do the records specify the date of receipt? Do the records specify the date of release? Are samples of starting materials checked by Q.C? Are they secured in quarantine before release? Are rejected starting materials distinctly identified and handled according to their quality? Are all equipment used only in the relevant area? Are aseptic operations carried out in a special area? Is adequate exhaust system provided for potent drug manufacturing area? Is sterile area protected with a technique such as a laminar airflow? Is sterile area protected by compulsory disinfection of hands prior to gowning and entering the relevant special area? Do the production personnel undergo periodical health check? In the handling of hazardous materials, do they wear protective clothing? In the handling of hazardous materials, do they wear a respiratory mask? Do production procedures describe the name and dosage form? Do production procedures describe identifications of end containers, packaging materials and labels? Do production procedures describe the theoretical yield for every production step? Do production procedures describe acceptable yield limits? Is a processing record for any batch available? Is a complete instruction of the relevant batch processed according to the master formula? Is a name and dosage form? Is a date of manufacture? Are records on all in-process controls and of results obtained? Is sample or identification of packaging materials? Is enclosed detailed analytical reports? Is entry to packaging materials storage room restricted only to authorized persons? Are packaging materials checked and released before use? Are packaging materials issued only against written orders? Are packaging materials actual quantity delivered as requested? Are packaging materials checked prior to use? Are measures taken to prevent packaging errors? Does the packaging identification contain all data required by law? Does the packaging identification contain the batch number? Does the packaging identification contain expiry date? Does the packaging identification contain other necessary details? Is quality control performed by the company itself? Is quality control carried out by a unit independent from production? Is the quality control organization autonomous in responsibility? Is the quality control organization provided with sufficiently trained personnel? Is the quality control organization provided with sufficient equipment to perform required controls? Is the quality control organization headed and supervised by an expert? Does the expert hold the final responsibility to release or reject any product/material tested? Does the unit elaborate detailed instruction in writing for testing and analysis implementation? Does the unit test, release or reject intermediates and bulk products? Does the unit test, release or reject finished products? Does the unit test, release or reject packaging materials? Does the unit evaluate storage conditions? Does the unit carry out stability tests? Does the unit establish expiration dates and storage regulations based on shelf life? Are sampling performed according to the approved procedure? Are retained samples properly labeled? Does this analysis contain a final conclusion on whether the tested batch meets specification? Are regular self-inspections carried out according to GMP-guidelines? Are results of self-inspections recorded? In the event of a recall is the distribution of a batch traceable? Are records of distribution kept? Are complaints conveyed to the responsible person in the company? Are complaints forwarded to offices outside the company, if necessary? Are records of complaints kept according to drug product group?